Hello, Im delighted you stopped by and thank you for your comment. Im pleased you found the article helpful... it is one of my most beloved colognes. I bought a 4oz. 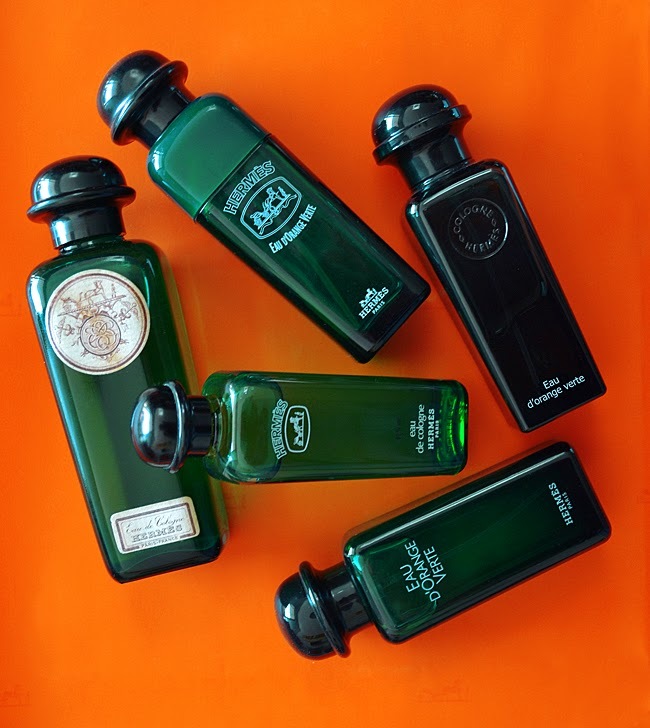 of "the green glass flacons with Ex-Libris paper label" Eau de Cologne Hermes pictured at the top of your article a t Houston consignment Store. The box had been opened but the bottle had the inner stopper still in. I noticed it smelled stronger and better (richer) than reguar. Research led me to your site as I tried to figure out the paper label so I assume it i from the 1960's. I could not find any for sale though. Hello Richard, thank you for your comment and readership! 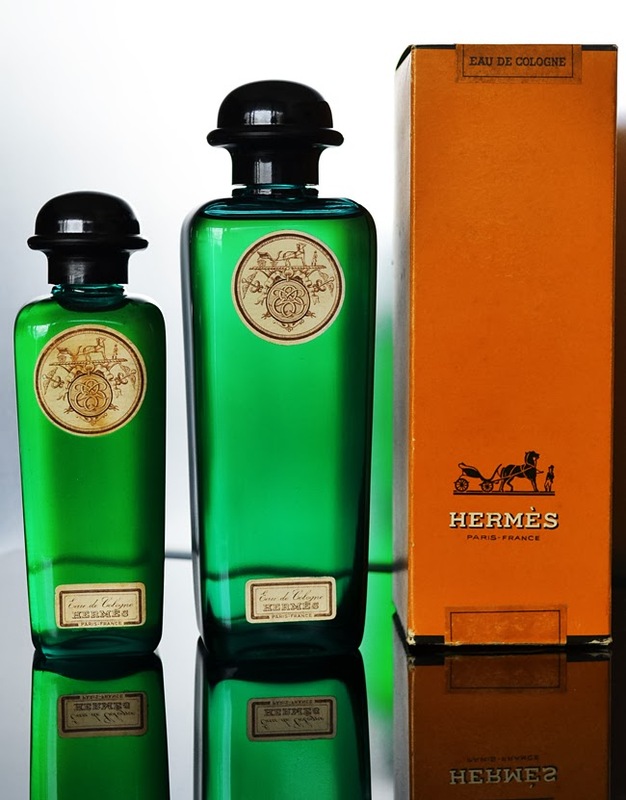 You've found yourself a lovely version - effectively the 'DNA' of Hermes and precursor to the current Eau d'Orange Verte - however, I'm sure you recognise there is quite a vast difference between the two. 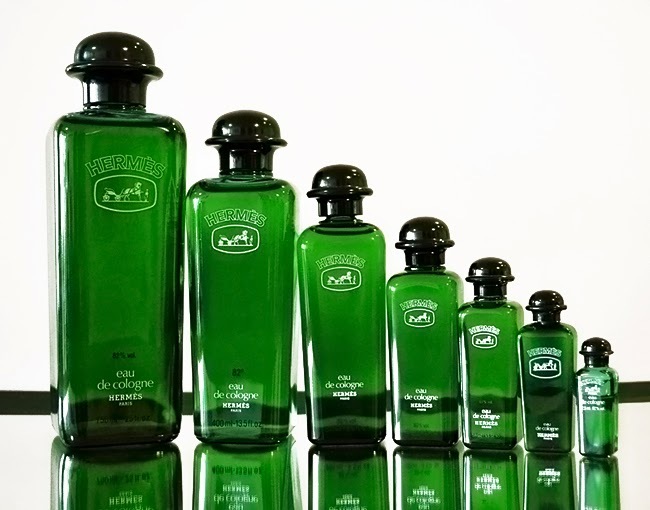 I have blue-green bottle, whit ex-libris paper label, eau de cologne. 4 fl oz, I try to find histroy about this cologne, but nothing, do you now something about my perfume Hermes. Alicia, has my article not addressed your questions? Its the most comprehensive account of the blue/green bottle with ex-libris paper labels that appears on the internet. What else would you like to know?